I have an abundance of chives in my garden. What a perfect way to use some of them. This is great spread on a pizza crust, making a white sauce. Combine cream cheese, butter, garlic, and salt in the bowl of a food processor. Pulse until smooth. Add parsley and chives and pulse a few times until well combined. Pack mixture into a small bowl, ramekin, or glass jar. Cover and chill at least 30 minutes. 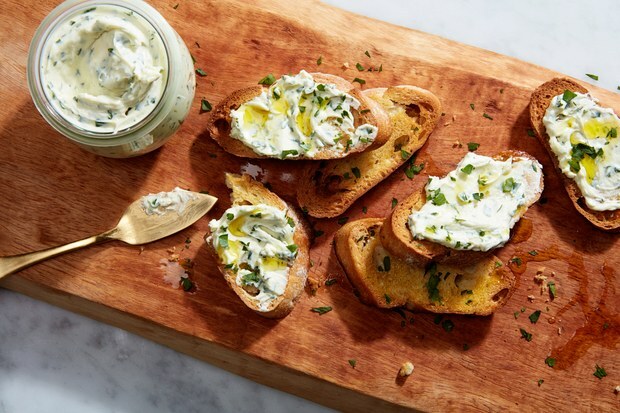 Serve with crackers or toasts. Cheese can be made 5 days ahead. Cover and chill.